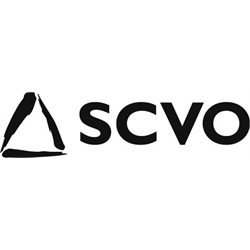 SCVO is the national membership organisation for Scotland’s charities, voluntary organisations and social enterprises. Our mission is to support people to take voluntary action to help themselves and others, and to bring about social change. We think everyone in the third sector should have access to modern and flexible office accommodation, so we’ve opened our doors to create shared office space for charities and social enterprises. We’re currently looking for a Facilities Assistant to join our building and tenant management team based in SCVO’s Brunswick House office. This role will involve day to day running of the office, liaising with tenants, staff and contractors, providing an excellent level of customer service and supporting the Facilities Manager. Please download the Job Description below for further information about this post. SCVO has an exciting opportunity for an experienced Graphic Designer/Brand Marketing Specialist to inject new strategic direction to SCVO’s brand marketing. With responsibility for leading SCVO’s in-house design needs and working with colleagues across the organisation to implement marketing strategies and plans, the fixed term Brand Marketing Specialist will also create brand guidelines and input to a corporate identity review. We’re looking for a self-starter who can work with multiple sub-brands, bringing creativity and spark at the same time as creating and respecting brand parameters. Third Force News (TFN) is the website and monthly magazine for Scotland’s charities and social enterprises, published by the Scottish Council for Voluntary Organisations. We’re looking for an experienced editor with strong people management skills to direct and develop Scotland’s only third sector publication, to lead on TFN’s digital redesign, and ensure that the TFN website and ebulletins maximise TFN’s reach. This is a temporary role for a period of up to 12 months based in Edinburgh with regular travel to Glasgow. We’re looking for a Project Manager to lead SCVO’s work to reduce social inequality in relation to digital skills and access for a 12 month maternity cover. The Digital Participation Project Manager is critical in delivering our work around Digital Inclusion. Key projects include our part in the UK-wide One Digital Programme and our new work focussed in Social Housing. If you’re passionate about reducing social isolation and a crack project manager with an eye for detail, we’d love to hear from you. In return for you being responsible for all aspects of project management and learning dissemination we can offer you an experienced and high performing delivery team and a friendly and supportive working environment. As your team is based in Glasgow, Edinburgh, and Inverness, we would ideally like you to work from our Edinburgh or Glasgow offices. With that being said, there would be an aspect of travel to this role (including London) there is therefore the opportunity for some remote working.